How long can stiff fissured clay slopes stand? 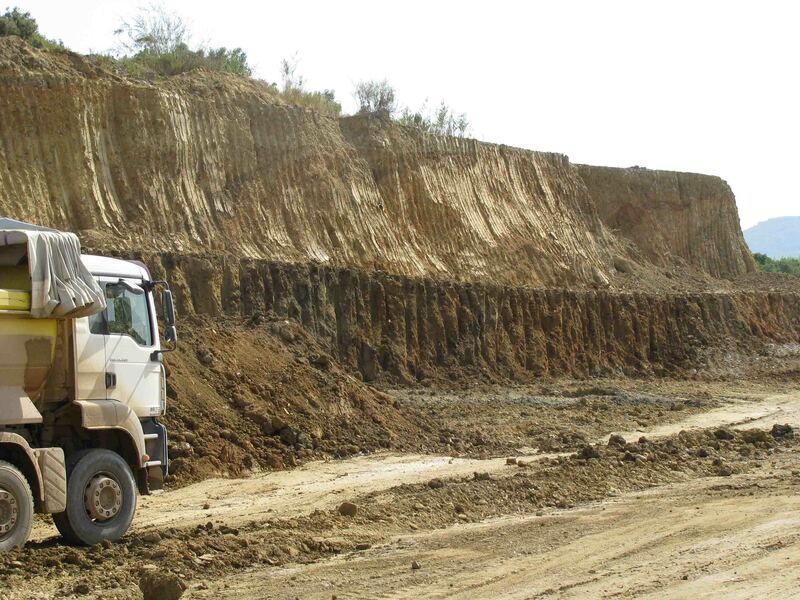 Coming back to the issue of stiff fissured clay slopes, one very important question is the standup time of a slope excavated or formed (natural erosion etc) with higher inclination than the one that would be the outcome using fully softened shear strength. Skempton (1970) in his paper “First time slides in over consolidated clays”, provided a graph presenting the decay of strength with time to almost fully softened where failure of slopes in London clay occurred (pic 1). Mesri et al (2003) in his paper provides a graph (pic 2) compiled from numerous case studies of failed slopes in stiff fissured clays in which the vertical axis presents the percent of failure surface length (Lr) in residual condition to the total observed failure surface length (Lt) and on the horizontal axis the age when the slopes failed. The far left points are of unidentified time. Time to failure range from a couple of years to decades. VandenBerge et al (2013), mention that “The time required to reach fully softened strength might be as little as ten years in some cases, and as long as 60 years in others”. Potts et al (1997) in the paper “Delayed collapse of cut slopes in stiff clay” presented complex coupled finite element analyses assuming strain softening soil behavior capable of swelling. The analysis requires among other parameters the coefficient of permeability which varies with depth, and coefficient of earth pressure at rest. With this complex parametric analysis they conclude that 3:1 (H:V) slopes produced failures between 11 and 45 years. And steeper slopes fail in less than a decade. 15m high slopes failed after 145 years. All these slopes produced deep seated progressive failure. It is very interesting to note that they evaluated deep seated failures although the problem of investigation was recent shallow failures in highway cuts and embankments. Another attempt from Kovacevic et al (2007) presented in the paper “Predicting the stand up time of temporary London Clay slopes at Terminal 5, Heathrow Airport” in which again a complex finite element analysis with swelling behavior and differing Ko was executed. The investigation was for both shallow and deep seated failure. The conclusion of the study was that shallow failures occurred earlier than deep seated and the time to failure was influenced most by the assumptions of permeability and the effect of suction. Cuts in stiff fissured clays will stand up for an undetermined time before failure occurs when inclined steeper than fully softened strength requires. The time may be from six months to hundred or more years. Investigating the stand up time is very complex and requires sophisticated numerical analysis which also utilizes assumptions in many of the parameters used. Very important parameter is the permeability of the clay in the development of swelling and softening. In my opinion the spacing and orientation of joints is the controlling parameter of permeability in such materials. 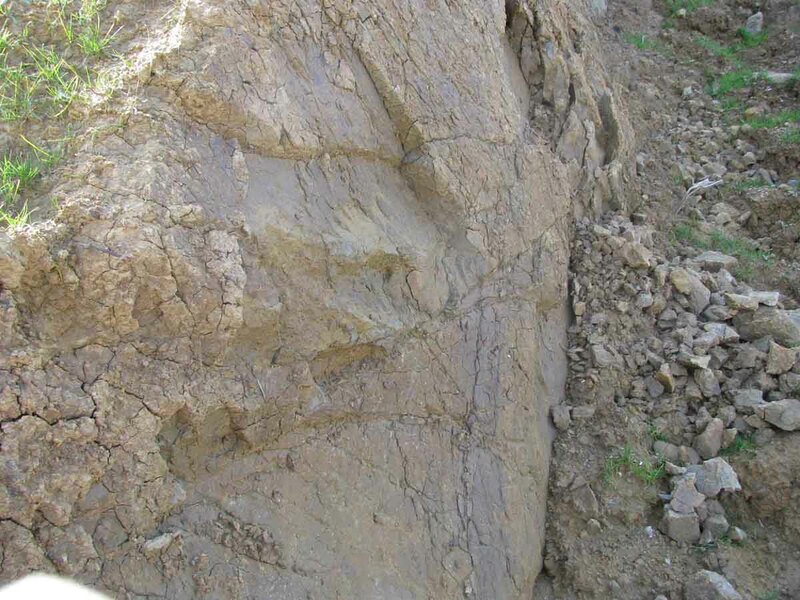 So highly fissured materials with very close spacing may develop shallow slope failures very quickly. 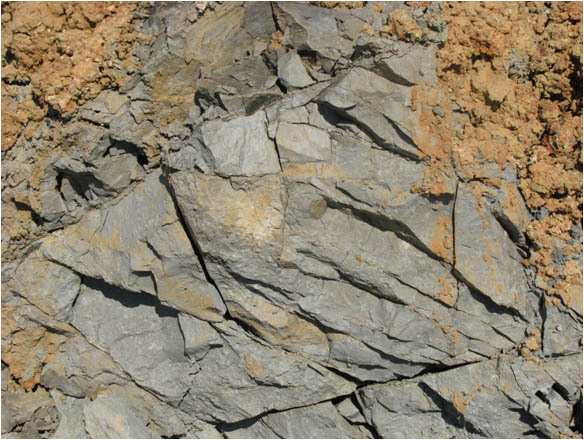 More widely spaced stiff fissured clays with fewer joint systems can provide significant delay time to failure. A second important issue is the evaluation of shallow or deep seated failure and how a deep seated failure can be defined. This is something very important that will be covered in another entry.